Enough of chemically enhanced fairness face packs! Try out this natural fairness face pack to boost your shinier look. 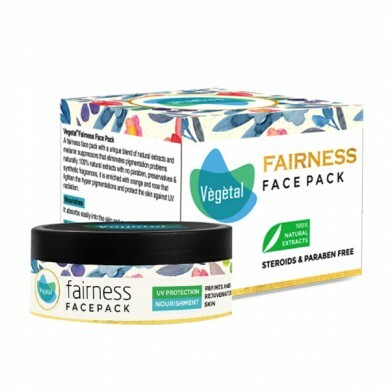 'Fairness Face Pack' is a unique blend of 'Bio-active extracts' and melanin supressors, eliminates pigmentation problems naturally. Offers Available: - Get Flat 17.00% Off on Vegetal Fairness Face Pack 50g. No Coupon Code Required To Avail This Offer. • Natural Ingredient – Our essence is in being 100% natural and pure. Vegetal Fairness Face Pack is free of anything synthetic and artificial which are often highly toxic. The Vegetal products are cautiously prepared through bio-chemical extraction of the most pure and essential natural ingredients required for a healthy skin. Paraben Free – Paraben is used largely in skin and beauty products to extend their product’s shelf life. It is one of the cheapest preservatives available that can potentially harm your skin including your overall health. We, at the Vegetal carry an all-natural line; formulate our products with all natural ingredients and without Paraben. Skin Lightening – The Vegetal Fairness Face pack offers the best ‘Tart and Citrus juicy’ benefits of Orange. Orange is a potent natural skin lightening agent. It evens out the skin tone by reducing dark spots, acne marks, and pigmentation. Its unique nutritional composition works efficiently on improving your complexion and leaves you with a naturally glowing fair skin. UV Ray Protection and Nourishment – Enriched with Aloe Vera extracts it gives an all-round skin protection against sun damage, tanning and sunburns. Vitamin E deeply hydrates and helps replenish the moisture that your skin loses to harsh sun. It effectively maintains your skin’s natural oil balance leaving your skin brighter, smoother and softer. Steroid and Bleaching Agent Free – The Vegetal Fairness Face Pack doesn’t contain any artificial bleaching agent and steroids. 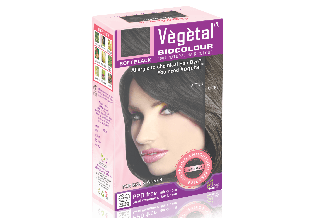 It is all herbal; and has been formulated with the extracts of the most pure and natural bleaching agents – Orange and Persian Rose. It is absolutely safe to use. The results are permanent with no side-effects. Refine and Rejuvenate Skin – Organic extracts from Camellia Sinensis Tea and Aloe Vera are the excellent natural rejuvenators for undernourished skin. The rare combination of these two best moisture locking natural agents - keeps your skin fresh and moist. 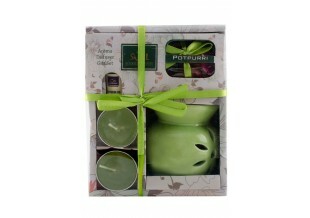 Highly moisturizing, it absorbs deeply reviving the dried most skin areas. It also improves your skin texture and leaves you with a silky smooth, a total rejuvenated skin. Comment :Cleanses the skin in a great way! I recommend.